NPA Challenge Certificates have been issued by the NPA since the 1950’s. These certificates are the fabric of our shows and they form part of the reason we compete at our Championship and Breed/Umbrella Club shows throughout the season; October to January. Our committee and our members cherish these awards and seek to make our prize pigeons into an NPA Champion. To become a Champion pigeon, a bird needs to win 5 certificates from 4 different judges and only two certs as a young bird. How do we become a show that can issue NPA Certificates or achieve Championship Status? There are many expectations of Clubs and Societies in order to gain and maintain Championship Status; we will outline the basics here. Once approved; applications for Certificates should be made at least 3 months before your show date. You should notify the secretary of your proposed show date, enclosing a draft schedule. Each year every championship show must submit these details and any change of date must be applied for, giving reasons. Your schedule should contain your choice of judges, to maintain a high standard these should come from the breed club, either via the secretary or taken from our judges list. For those clubs that struggle to get judges within their area then the two from one section rule can be used, as can the judge’s guidance form which can all be found on our website. You should also state on your application if there is to be a limit to the number of entries you can accept due to venue restrictions. Certificates will not be approved in the absence of this information, if approved you will receive notification from our secretary along with a show pack containing your Certificates, Withheld forms, Rosettes and NPA return sheet. Applying for a DEFRA License and meeting all regulations. These conditions and rules are taken from our Rules & Constitution which have been formulated over the years by you the members, these apply to all shows being held under NPA Rules. 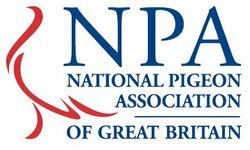 To assist and help with this process we have reintroduced, over the last two years, NPA Show Reps, these are either members of the committee or long standing NPA members. These people are there throughout the show day not only to check that our requirements are being met but also to offer assistance with any matter which may arise throughout the day. We are there to help and support our Championship Show secretaries so if there’s anything we can do, please do make contact. Fancy Pigeon sections that cater for English Tradition & Breeds alike. AOV RVPC breed not mentioned. 1. Find a suitable venue. 2. Arrange a date with venue and inform other show secretaries/NPA if required. 3. Invite judges (by letter, email or telephone). 4. Produce a classification including judges’ names, times and dates, plus limit if required (may need NPA approval). 5. Send out schedules and apply for DEFRA licence. Requirements: pens/penning contractor, pen numbers, prize cards/rosettes. Helpers required to put up pens/help run show etc. on the day. 6. Receive entries, enter into ledger/computer. Keep a running total of entries received. 7. Close entries and complete ledger/computer register. 8. Number judges books and add prize cards/NPA slips to judge’s pack. 9. Send each exhibitor a copy of entry form with pen numbers, keeping a copy of each for reference on show day. 10. Produce a catalogue of entries. 12. Receive exhibitors and birds and deal with any problems i.e. pen numbers/wrong classes etc. 13. Receive judges’ returns of winners and NPA’s if applicable. 14. Provide catalogue for judges/exhibitors either free or for sale. 15. Present awards/cups/prizes then close show and dismantle. 17. Send NPA returns plus marked up catalogue to NPA secretary. 18. Publish results in Fancy Pigeon World/NPA website. 1) Please ensure that the white NPA slips are sent in to the office as soon as they have been completed in order that the certificate cards may be written out in time for your signature and then affixed to the pens before the closure of the show. 2) If your name as the judge is not the same as the one on the white slip, and it has not been corrected, please amend it as the certificate writers may not be aware that a change has been made. 3) Could we also suggest that these slips are completed as soon as you have judged the classes for which the certificate applies. For example, complete the slip for the blacks before you move on to the blues or other colours. Experience has shown that some judges wait until they have finished judging a complete breed – or even a section. This only results in delays when a whole batch arrives at the office in one go. 4) Please ensure that the information regarding, Ring Number, Pen Number and Colour is correct. (Please Note: AOC is not a colour). Any error or adjustment afterwards to the white slip or the actual certificate itself only adds to the workload of the secretarial staff. (b) that you have added your signature. 6) A helpful judge would be happy to affix the NPA certificate cards on the appropriate pens after he/she has signed them, after all he/she would know only too well where they were situated in the hall. 7) Finally – and most importantly – if you feel that your chosen winner is not likely to end up as a champion one day, then do not give it the benefit of the doubt.